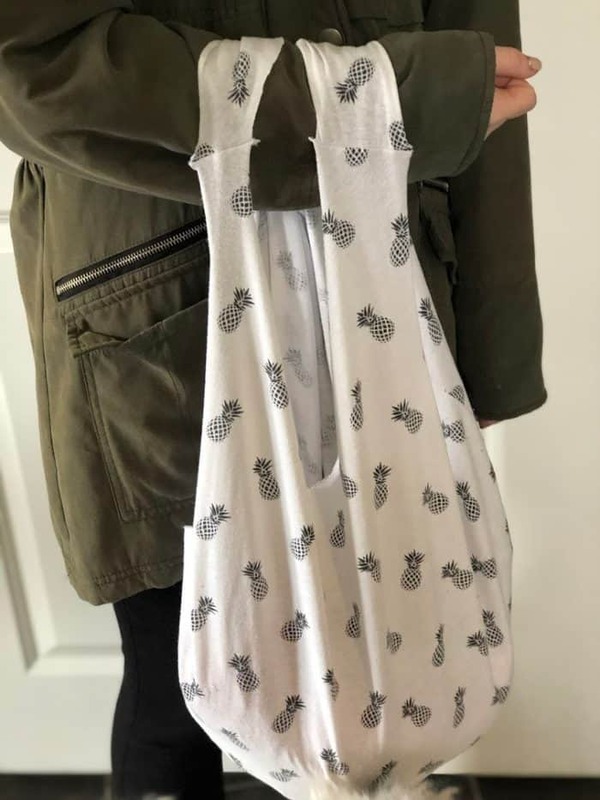 How to make a tote bag from a T-Shirt…. 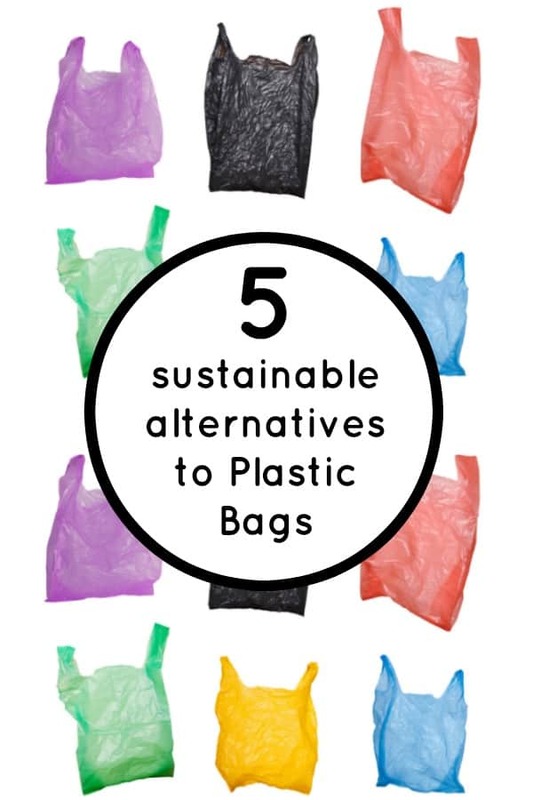 OK, so I know this one won’t be for everyone but today I wanted to show you how you can make a tote bag from a T-shirt as well as share a few other alternatives to plastic shopping bags with you. 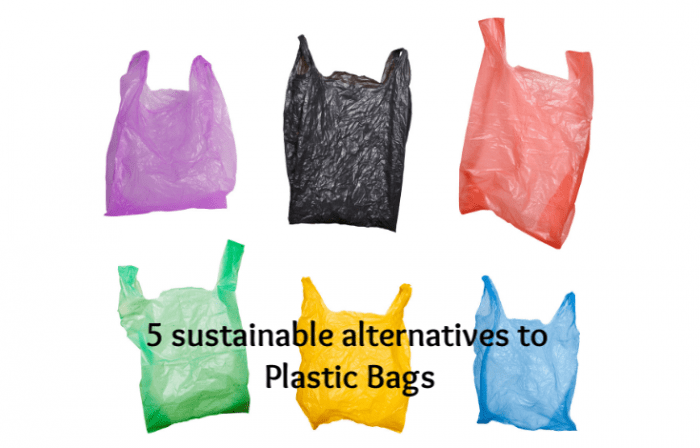 I’m really trying to live a more sustainable lifestyle and wherever possible, I’m cutting down on the use of plastics in our household – specifically non-recyclable single-use plastics. 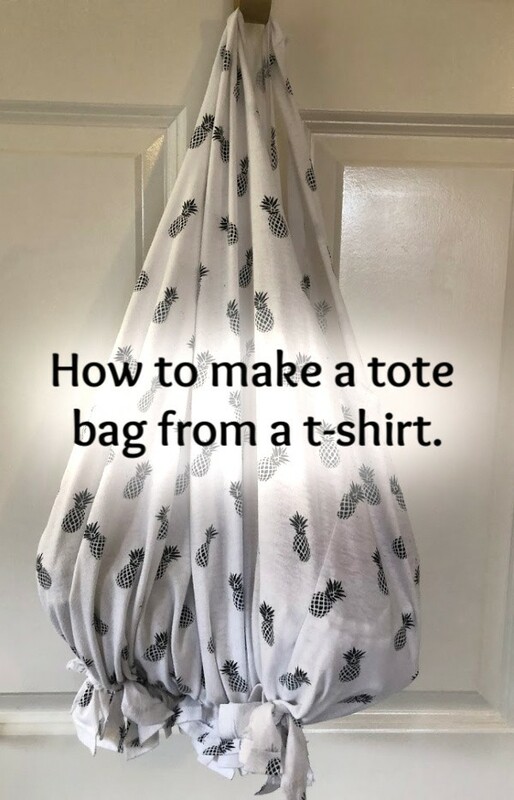 I’ll probably get all preachy about that in another post one of these days but for today I wanted to share a few alternatives to plastic shopping bags and show you how to make a tote bag from a t-shirt. 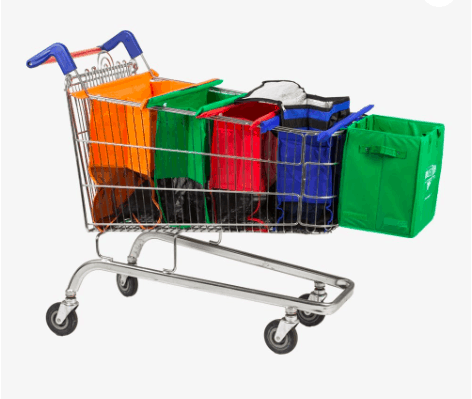 I saw something similar to these trolley bags in a shop last month but I can’t for the life of me remember where! 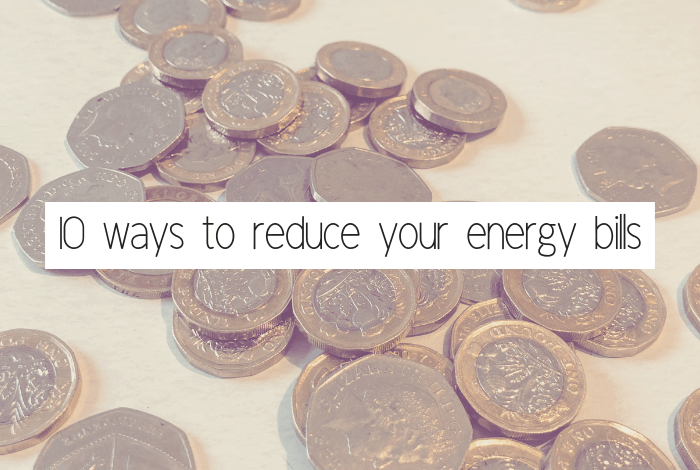 I think they were about £15 and I’m kicking myself for not buying them – as soon as I figure out where I found them then I’ll get some to keep in the boot of the car for when we go shopping. 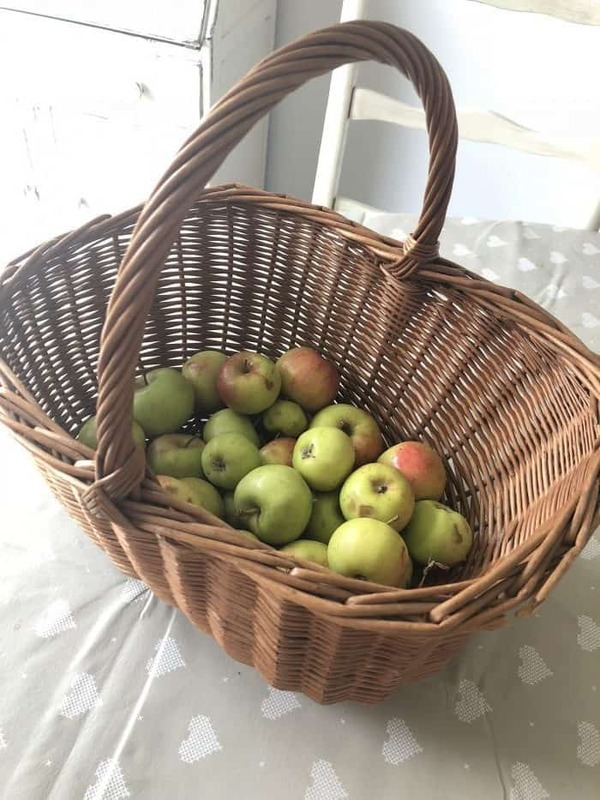 I wanted one of these wicker baskets for as long as I can remember and I finally found a vintage one for a reasonable price at last year’s Festival of Thrift. I love it but it’s so rigid that it’s not really comfortable to carry if I’m honest so I don’t use it as often as I thought I would. 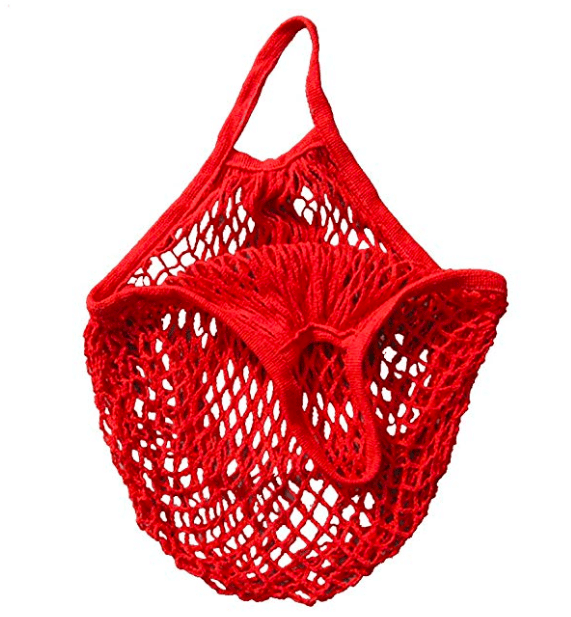 I’ve just ordered this string bag from Amazon for the bargain price of £1.45 but it’s not due to arrive for about three weeks looking at the delivery date. 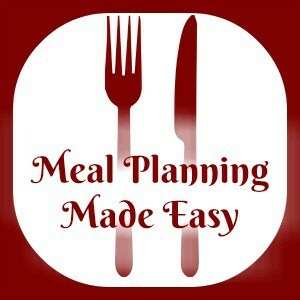 It will be perfect for fruit and veg at the supermarket or when we go to the Farmers Market on a Sunday Morning. Cut around the neckline of the t-shirt – you can use a bowl as a guide but I went rogue and went freehand and made a bit more of a V kind of shape. 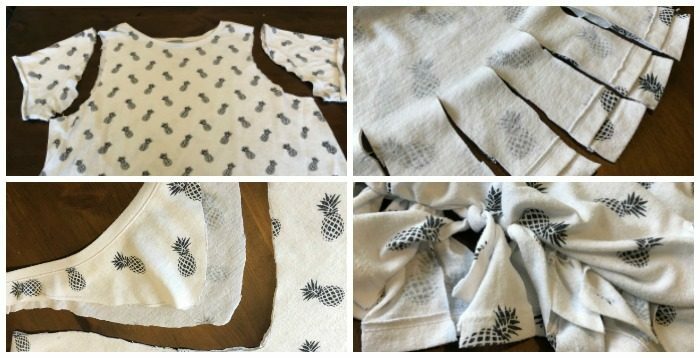 At the bottom of the t-shirt, cut slits up the bag of about two inches (longer if you want more of a fringe) making sure you cut both layers of the t-shirt at the same time so they line up ready for the next step. 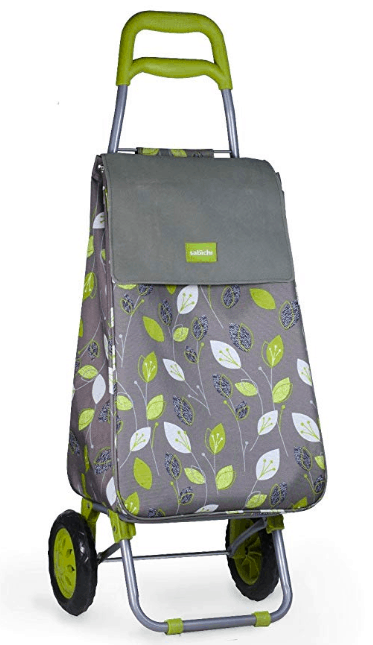 If I was making one of these again, I’d make the slits thinner – mine were about 2-3cm wide but I’d go for about 1cm wide so the finished bag is more sturdy at the bottom. Making sure your t-shirt is the right way out, start at the edge and double knot one strand from the top and one from the bottom as tightly as you can. Do this to all of the strands and then voila, you have a bag! 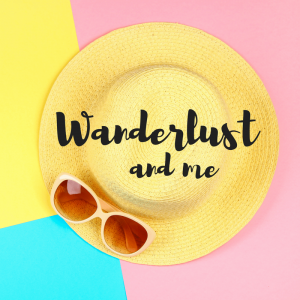 This is perfect for wandering around town and actually quite pretty too!